ChargeIt by Jay Reef Pink Charger Plate 13"
Home > Products > ChargeIt by Jay Reef Pink Charger Plate 13"
Add a unique touch to any table with the ChargeIt by Jay Reef Pink Charger Plate 13". This stylish coral reef-inspired product enhances any food presentation with its eye-catching shape and textured surface. Attractive as well as functional, this piece also keeps the table clean and safe from spills and mess. This charger is constructed from high quality glass and boasts superior craftsmanship for an upscale look and feel. 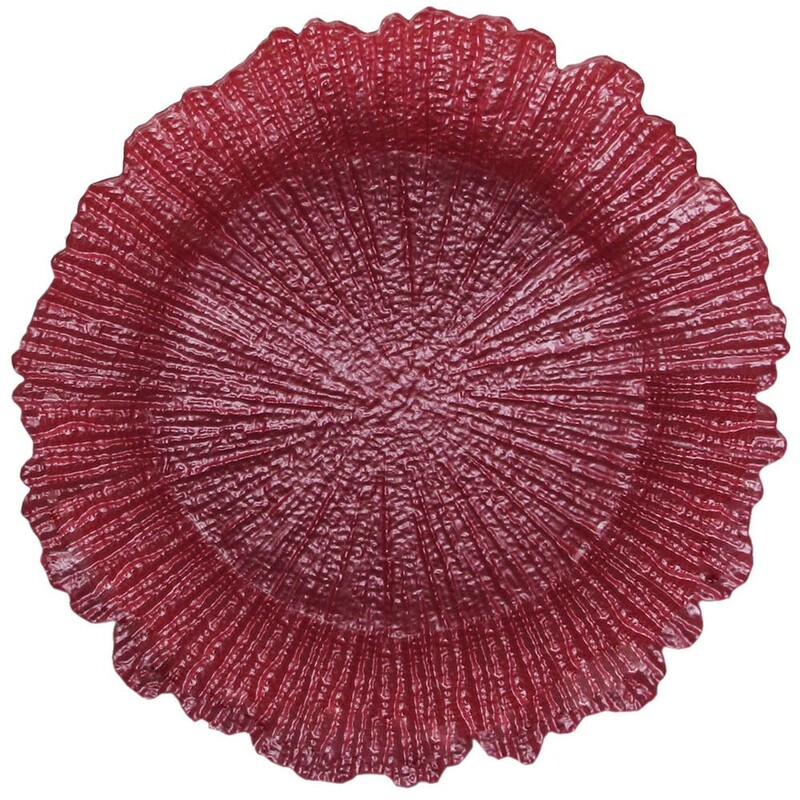 Ideal for use in formal affairs like wedding receptions and other celebratory occasions, this item provides an enticing backdrop for a variety of dinnerware. This product can also be used for creating stunning centerpieces. To keep this charger in good condition, hand washing is recommended.